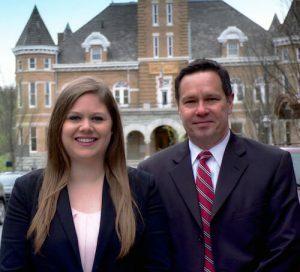 Probate Lawyers Fayetteville, AR | The Hudson Law Firm, P.L.L.C. Guardianships: There are two kinds of guardianships, those dealing with children, and those over an adult. A guardianship over a child may become necessary if neither of the child’s parents are able to adequately care for their child. It is common for grandparents or aunts and uncles to step in and gain guardianship over children in their family, but you do not have to be blood related to be granted a guardianship. If a parent is wanting to give “custody” of their child to a different family member, a guardianship is the mechanism to do so. Adult guardianships occur when an adult is incapacitated and is not able to take care of certain aspects of their life on their own. A guardianship can be one’s person, of one’s estate (finances) or of both. Guardianships can be tailored to meet each individual’s needs. Estate Probates: Probate is the legal process that takes place after a person passes away. It involves the transfer of assets from a descendant to the entitled person(s), and wraps up the descendant’s financial affairs. Wills: A will is a legal document that states your wishes for the transfer of your assets upon your death. A will appoints an executor to ensure that your wishes are followed, and leaves instructions for how to distribute your property. Power of Attorney: This legal document gives someone else of your choosing the ability to handle a variety of affairs on your behalf. It can be tailored to meet your wishes, whether those are specific or broad. This document does not take away any of your personal abilities or power to conduct your affairs, it simply allows someone else to do so as well. It is very important that you only grant power of attorney to someone you trust with immense confidence. A power of attorney needs to be established when you are mentally competent to do so. A general power of attorney does not allow one to make health care decisions on your behalf. Living Wills: A living will spells out your wishes by detailing your preferences regarding end-of-life health care. Having a living will prevents your loved ones from having to make painful decisions without really knowing what you would want them to do. Health Care Proxies: A health care proxy is a legal document that appoints a person to make decisions regarding your health care if you are unable to make such decisions. A health care proxy differs from a living will by designating a person to make medical decisions for you, while a living will sets forth your personal preferences, however, many people create a living will and health care proxy at the same time, and they can be created together as one document. The links on this page will take you our blog posts with information about probate law in Arkansas. While these resources provide good general knowledge, each probate law case is unique. We encourage you to contact us today to discuss the details of your situation. For more information on how we can help you contact our probate lawyers today. Call us at (479) 443-1812, email us at info@hudsonlawfirmnwa.com, or send us a message below. We look forward to helping you plan your future.